If you are eyeing to enter a foreign institution then for a non-native English speaker like you, have to appear for TOEFL exam. As a citizen of Delhi, my native language is Hindi while for a student residing in any place in Chennai, his or her native would be Tamil. So get a foothold in any English-speaking institution, you have to appear in TOEFL exam that serves a gateway to get a chance to enter your desired university or institution in foreign soil. In this post, I have pointed out some important details regarding TOEFL exam and ways to crack it which will surely help you out in hours of need. TOEFL is an English test that acts as an unvarying examination to evaluate the English language of a candidate who is a non-native English speaker. TOEFL stands for Test of English as Foreign Language that serves one of the most crucial English-language tests in the world, and for international students, it serves as a gateway to English speaking university. Aspirants who qualify in this exam can apply in any of their desired colleges in United States, UK, Australia and Canada. This exam is conducted by Educational Test Service, and this examination stands at par with International English Language Testing System. if you start giving correct answers you will also start getting tough questions on your next. However, if you provide a wrong answer, then the program will adapt according to that move, and it will provide you an easy question on your next move, but it is only applicable to listening. 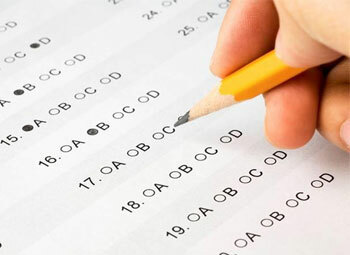 TOEFL follows two different structures; one is an Internet-based test, and the other one is a paper based test. All these tests contain four parameters and it continues for almost 4.5 hours and total marks in this test are 120. The total marks are evaluated depending upon the score in each section of TOEFL paper. During the examination, the student is allowed to ask for papers to take notes on them, although they have to return the paper after the examination finishes. Student appearing for a particular TOEFL exam can’t appear for them in next twelve consecutive days. The first section that you will face is the reading section which will consist of three to five passages, and every passage will be of 700 words adorned with some question. It is imperative that you should thoroughly go through the passage so that you can understand the main detail. Most of these passages will belong to academic topics, and they can be found any school level books. Although it might seem easy, but the question is quite tough as you have to answer the core idea, conclusion, overall scenario, sentence filling, filling out summaries, etc. Listening portion will contain six passages and for each passage, time varies from three to five minutes. This passage which you will face maybe belong the category lecture, conversation and discussion but generally it comprise four discussions and two conversations. During the conversation, there will be a campus service provider or professor and student will get one chance. There will be six question in lecture but five for conversation. This speaking section will contain six tasks which will constitute four integrated task and two independent one. The main advantage of independent topics is that you will be asked a question related to known topics and the professor will evaluate you depending on your explanation. The four integrated task is divided into two divisions, where students have to read, listen or converse about campus life, short passage or academic lecture. In first two task they have to answer the question by memorizing all the information, and in the next two, they have to answer question after they hear a conversation or lecture. In this section, the aspirants are evaluated on the basis of two tasks where one is integrated, and other is independent. The applicants are judged on their writing skills in an academic setting. The Official Guide to the TOEFL Test – Most popular TOEFL book. Official TOEFL iBT Tests Volume 1 and 2 – Another famous book for TOEFL. Cambridge Preparation for the TOEFL Test – One of the best skill building books. Vocabulary and Grammar for the TOEFL Test – Highly recommended book for basics. Magoosh’s Guide to the TOEFL iBT – Highly accredited eBook. TOEFL follows a strict regulation process and aspirants appearing for the exam have to register themselves in the TOEFL website in advance. After completing the registration process, candidates will be given the date and time of examination. Although it is an online exam but candidates have to wait for maximum two weeks to get their result. The result is not only sent to a candidate but also the university which they intend to join.